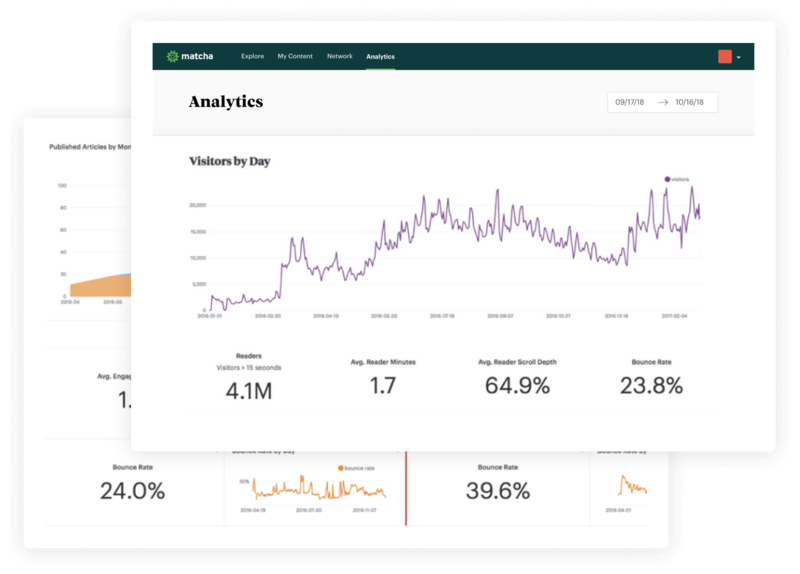 Matcha provides a content marketing platform with a library of ready-to-publish articles, custom content creation, content distribution, and analytics to prove return on investment. Matcha’s turnkey content services help resource-strapped marketers to sustainably acquire, engage, and retain customers. Combining software and services, Matcha is a holistic solution to the challenges of content production, distribution, and measurement. 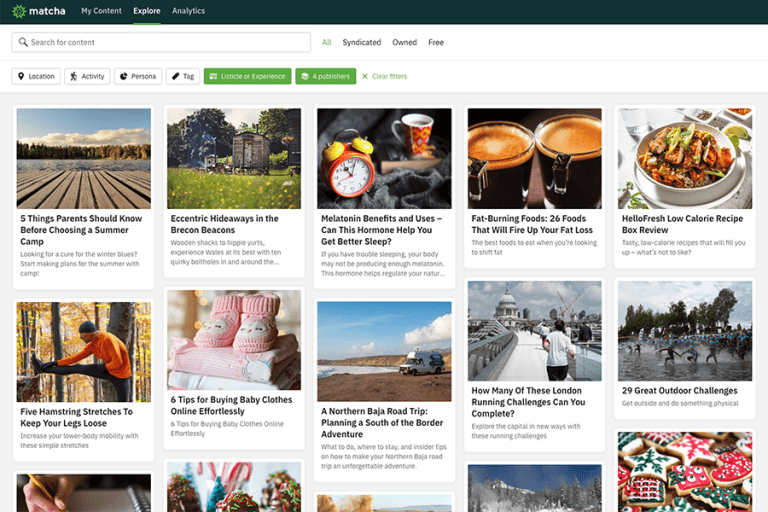 Discover and publish professionally written blog content in just a few clicks with Matcha. Prove the ROI of your content marketing with powerful analytics and integrations with Shopify and Mailchimp.